Submitter Don used innovative finger technology to block out the name of the company on this sign. 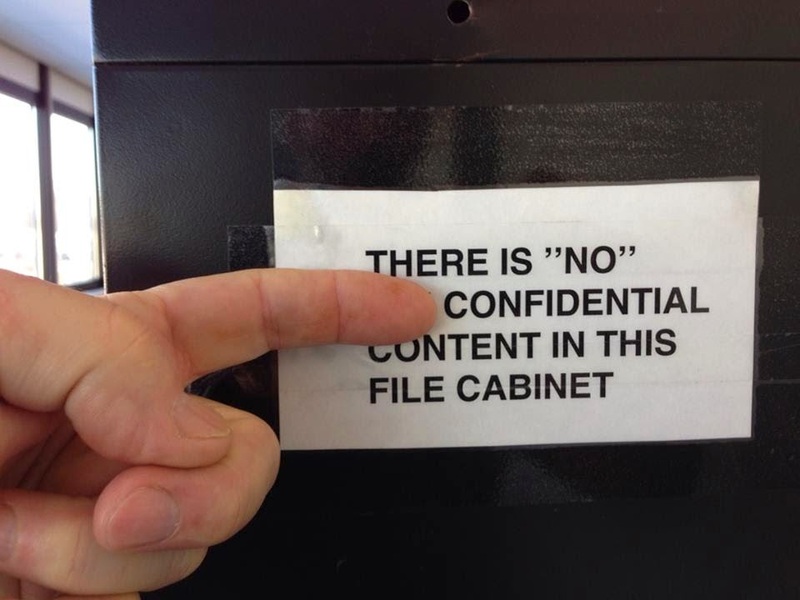 A company that totally "doesn't" keep its confidential documents in this cabinet. My "feeling" is that "unnecessary" quotation "marks" should at least be used "correctly". That's not an opening quotation mark there!